I got this one at the airport in Glasgow. I wanted to buy a book, this was on sale, and I wanted to read something by Child for some time (having heard good things about his Jack Reacher novels), so I bought it. This novel struck me as a very “male” novel. Jack Reacher seems to be the embodiment of the loner, no-strings-attached male. I know this is part of a series, so I don’t know how this novel fits in with the others. But here, only with a lot of goodwill (and a looking glass) can I say there’s character development. 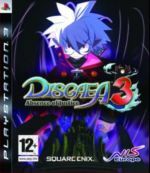 I appreciated how the plot unfolds and how everything seemed to be thought out (from my complete cluelessness about a lot of things described in the story, at least). 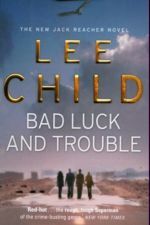 But ultimately, I thought it a very cold novel, completely ruled by logic (see the no-character-development sense I had) with a mystery that wasn’t “good” and interesting enough to make me go “wow.” I’m pretty sure I won’t read another Jack Reacher novel. I read about this novels somewhere in a comments thread. It sounded interesting, and after reading an excerpt on Heller’s homepage, I decided to order it. 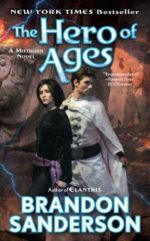 What I liked about the excerpt – the humorous way it is written – is there in the novel, but unfortunately there is also the kind of humour I don’t like and which I have trouble to describe. It’s some kind of slapstick, sitcom humour that strikes me as goofy for the sake of humour and not naturally following from the situation; it tries too hard and turns into silly and dumb; IMO. For me, this was best exemplified by the scene where Barbara with the help of someone else tries to exorcize the devil and they have to substitute a lot of the things needed for the exorcism because they couldn’t get the right things. Some people find these kind of situations hilarious and laugh-out-loud funny, but for me they don’t work and make me snort in a “oh yeah” kind of way. 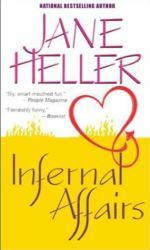 So, even though IA was a mixed bag for me and some things didn’t work for me, I think Jane Heller is a good writer and I’m not sorry I had ordered another one of her novels along with IA. The main theme of CTT is the nature/nurture question. Nearly all characters have a background which displays one aspect of this question. With so much parts in play, I thought it a bit disappointing that they weren’t used for a closer look at this question. This theme stays on the surface only. Generally speaking, CTT didn’t grab me like the last novel I read by Rose. That’s not to say CTT is bad, it’s just that I wasn’t as into it. Both the crime and romance part are okay, although I have to admit that I had trouble – again – believing the way a) the characters go from no-strings-attached to commitment and b) the escalation of the crime part in just a few days. When will I get it into my head that that’s part of the romantic suspense package? Also, reading this novel – and I know saying that it annoyed me makes me look out-of-my-head – I got the impression that the main characters had hardly any sleep at all for the whole story. Maybe because it somehow see this being in action around the clock also as hard to believe (I like my sleep) and implying how hot and important the characters are. Don’t know. These points are completely subjective and just my nitpicking buttons. One last thing: what is it with female journalists (and lawyers?) who’re nearly always bitchy, ready to do anything to get a good story, and/or incompetent in Rose’s novels? 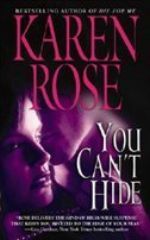 Karen Rose – "You Can’t Hide"
WHY THIS NOVEL: I really enjoyed two other novels by Rose. “Terror has forever changed the life of psychiatrist Tess Ciccotelli. Someone is tormenting her patients, pushing them to commit suicide, and setting her up to take the blame. But Tess can’t break her oath to protect her patients’ privacy at all costs. Even when detective Aidan Reagan demands a list of everyone she’s treating. Even when the mounting danger threatens Tess herself. 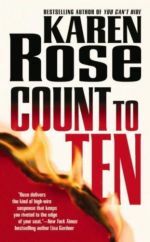 Of the three novels by Rose I read so far, You Can’t Hide worked the best for me. Rose has a firm grasp on the story and the characters. You Can’t Hide is fast paced and there is (nearly) nothing in it that’s superfluous. The best part for me was its heroine who really struck me as professional and exceptionally strong in the face of all that’s thrown at her. 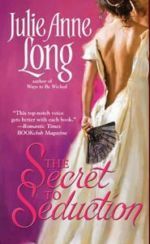 I also enjoyed the theme of “keeping secrets/hiding things” that was present both in characters and events, although it was more notable in the first half of the story. The ending was surprising. 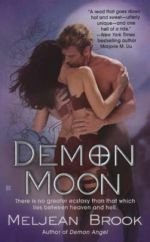 Although I think I should say that I don’t read romantic suspense constantly asking “who of the characters could be the villain?” (which probably makes reading it a bit moot). But if it doesn’t jump out at me for some reason, I don’t bother thinking about it too much. In You Can’t Hide it’s only near the end that the suspects are narrowed down and yes, I knew who it was the moment the villain turned up in the scene that was going to be the revelation scene. But that was pretty late in the novel and somebody has to be it after all, so I don’t see it as a jumping-out kind of thing. I was a bit more bothered by the way all of it was wrapped up pretty fast. In particular, I was bothered by the way Tess ended up. 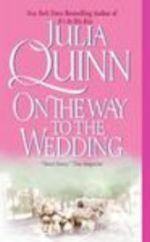 Her career seems pretty much in the gutter at the end of the story and the epilogue is about her and Aidan’s wedding. While I think that Tess’s able to save her career I’m not so sure it’s something someone wants to do after all the things that happened to Tess. The way it’s presented, Tess seems to go from a very successful woman to a woman who’s married and … well, the villain accomplished some of his goals after all. It just struck me as sad that a woman who’s admirable especially in the way she handled herself professionally for the whole story, ends up without at least a small hint about her professional life and gets the marriage treatment. – A lot of things happen in just one week and it’s not just that a killer is around and the body count gets high fast. One thing after another comes and while it made for a fast-paced story, the sheer amount of things happening (or happened already) was a bit much near the end. 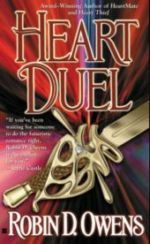 – “Romantic suspense” means there is some romance connected with the story and you all can take a guess what I have to say about that when I have trouble believing the true-love-in-a-couple-of-days scenarios in romance novels. Too often it relies on the shortcut of the hero going all growly and possessive and aroused at his first sight of the heroine as the sign of true luuuv. While there is some of that here, there is also enough of other things for me to believe that despite the short time frame, Tess and Aidan are a convincing couple and belong together. I see the “short-time-frame thingy” at the core of the romantic suspense genre, so there is no real reason to “complain” about it. But I nevertheless included it here because – despite my general reservations about believability and a short time frame – You Can’t Hide never threatened my suspense of disbelief in that regard while reading. I was along for the ride and enjoyed the read, and it was only afterwards that I thought about the time frame. 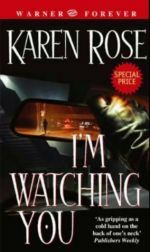 Which is just my roundabout way to say that IMO Karen Rose wrote a near perfect romantic suspense novel with You Can’t Hide.